Photorealistic 3D model and render. 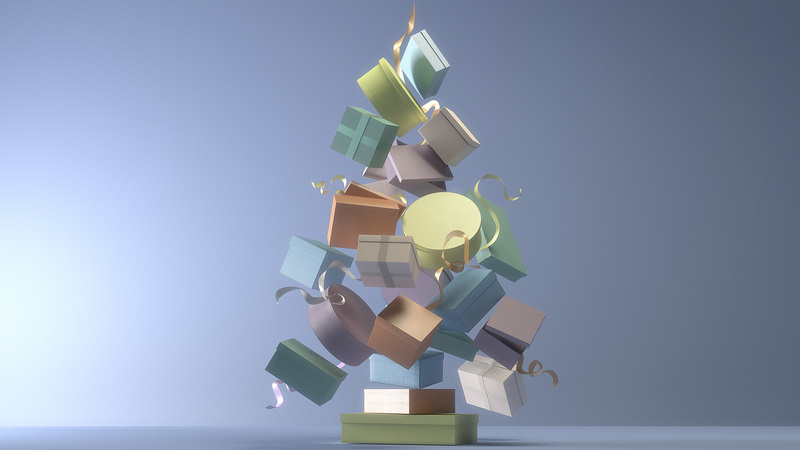 I designed and rendered the 3D Christmas tree with Modo. This design was used as background image for the holiday card that every Gucci shop distributed to clients in-store. 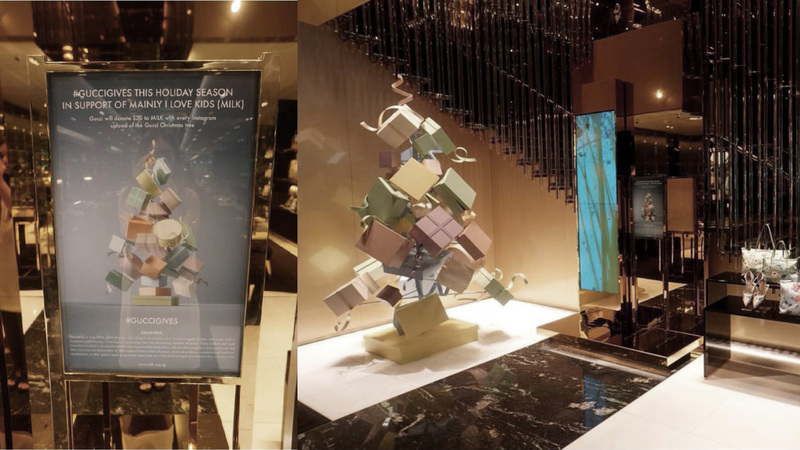 The tree of floating boxes concept was also used as a real, in-store decoration in specific locations (the Gucci Museum in Florence and the main Hong Kong Gucci store) in tandem with a charity event called #GucciGive.